^ Terras, Victor. Handbook of Russian Literature, p. 436. Yale University Press, 1985, ISBN 0-300-04868-8. ^ Klimoff, Alexis; Edward E., Jr Ericson (2008). The Soul and Barbed Wire: An Introduction to Solzhenitsyn. Lanham, MD: Intercollegiate Studies Institute. p. 10. ISBN 1-933859-57-1. ^ Scammell 1986, pp. 152-4. Bjorkegren 1973, Introduction. ^ Rosenfeld, Alla; Norton T. Dodge (2001). Art of the Baltics: The Struggle for Freedom of Artistic Expression Under the Soviets, 1945-1991. Rutgers University Press. pp. 55, pp.134. ISBN 978-0-8135-3042-0. http://books.google.com/books?id=r73fmcC5itkC&pg. 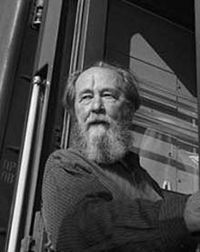 ^ Solzhenitsyn, Aleksandr (1997). Invisible Allies. Basic Books. pp. 46-64 The Estonians. ISBN 978-1-887178-42-6. http://books.google.com/books?id=5yYBZ35HPo4C&dq.